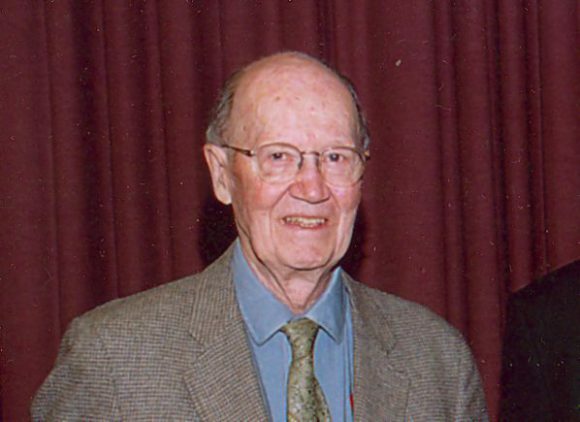 Share the post "In Memoriam: H. Boyd Woodruff (CC’43)"
Distinguished research scholar H. Boyd Woodruff passed away on January 19, 2017 at the age of 99. 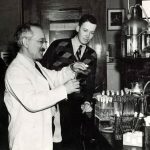 Woodruff studied under Selman Waksman as a graduate student in the Department of Microbiology and discovered the first antibiotic in Rutgers history, actinomycin, which has been used in treating Wilms Disease, a childhood cancer. His discovery marked a profound moment in medicine, proof that soil microbiology could be harnessed to recover antibiotics from cultured microbes taken from soil. Woodruff continued to perform research at Merck & Co. during World War II, leading developments in antibiotics, vitamins and the anticancer agent, action. Read more about H. Boyd Woodruff at In Memoriam and in The New York Times.